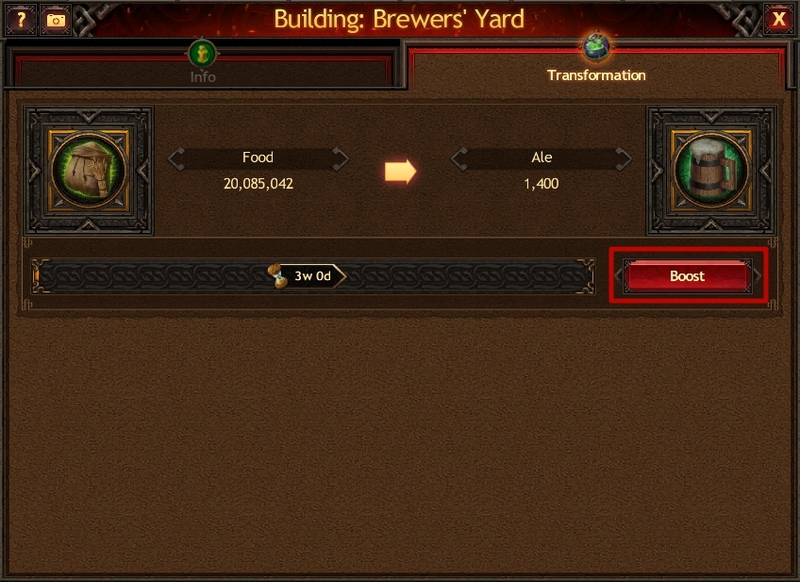 Brewers' Yard, Carpenters' Yard, Smelters' Yard, Stonecutters' Yard and Mintage Yard are designed for producing the unique resources: Ale, Timber, Steel, Plates and Thoriars respectively. 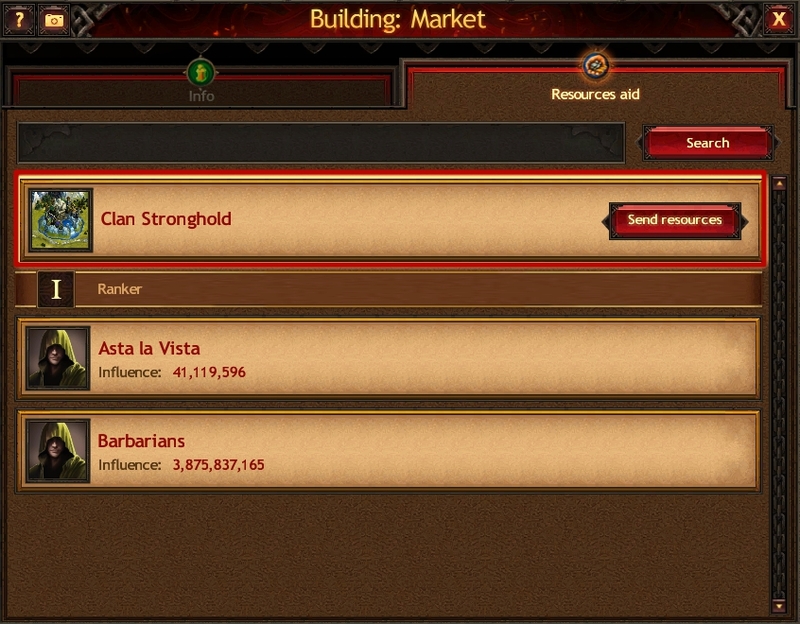 Each Clan member can send resources to the Clan Stronghold for further transformation by opening the Market building in the Town and select the Clan Stronghold as the recipient. When resources arrive at the Stronghold, they are kept in the Resource Storage until they’re used for transformation in the Yards. The Chief and the Clan Elders who have the right to run the transformation process, get to choose the transformation mode depending on the Clan abilities, resource stock and time they’re willing to spend. Note that if the resource transformation process has started, it’s impossible to cancel it. 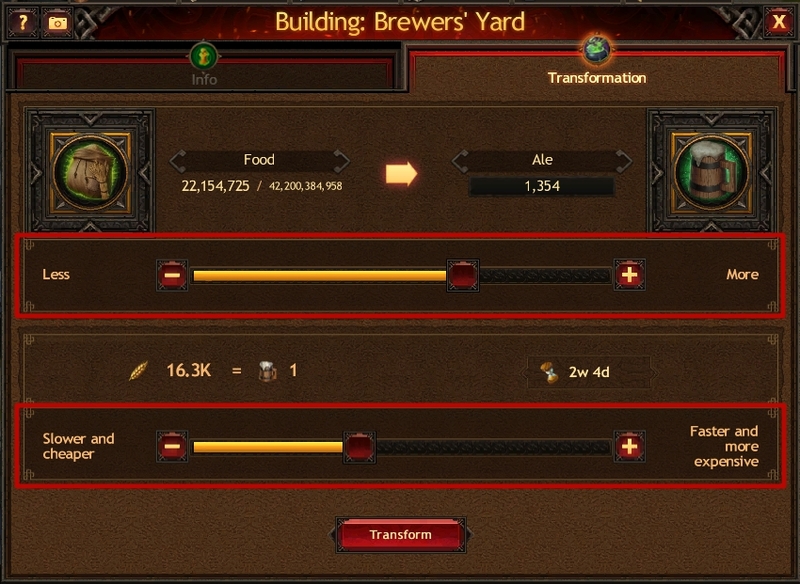 However, each Clan member can speed up the process by using the special “Stronghold Boost” item.